Neuroticfish is the name of a German musical project whose styles borrow from electronic body music and synthpop, as well as other types of electronic music. It released music on the Dancing Ferret Discs record label. Neuroticfish's sole member was Sascha Mario Klein. Klein cites his musical inspirations as such bands as Skinny Puppy, Nine Inch Nails, and Depeche Mode, and began experimenting with music on his own in the early 90's. Neuroticfish's sole member was Sascha Mario Klein. Klein cites his musical inspirations as such bands as Skinny Puppy, Nine Inch Nails, and Depeche Mode, and began experimenting with music on his own in the early 90's. After Neuroticfish was born, Klein did not make the typical efforts of a muscian to send out a demo; instead, he relied on the internet as a medium of expression for his music. Klein was eventually offered a place on a synthpop compilation called A Reflexion of Synthpop. From this point on, Neuroticfish gained popularity in the club scene, where he has made an impact ever since. Klein gained a bit of notoriety after one of his songs contained the sample "Electronic body music is dead." It has since become somewhat of a catchphrase for Neuroticfish. 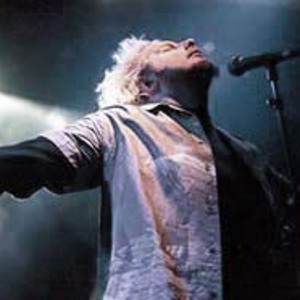 On January 4th 2008 the official Neuroticfish MySpace page had a message announcing that the band would cease to exist after its performance at the 2008 edition of the Wave Gothic Treffen festival in Leipzig, Germany. In July 2012 the website was updated after the project seemed finished. The latest updates say that Sascha and Henning Verlage are working together during Winter 2012 and Spring 2013 on a new album.